Chittagong University to build a new hall for the Buddhist and other minority students to give them residential facilities. 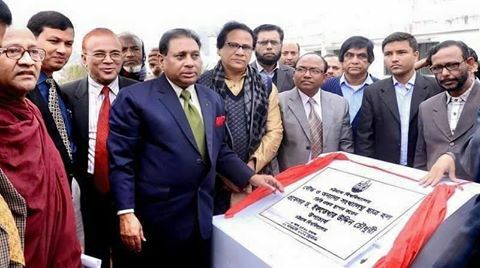 Vice chancellor Prof. Dr. Iftekar Uddin Chowdhury laid the foundation of the new hall in the north side of Bangabundhu Sheik Mujibur Rahman hall on Thursday at 11am. A meeting was arranged for this purpose. In the meeting, the vice chancellor said, “A hall for Buddhist and other minority students is a long waited demand. Through the help of Prof. Dr Jinbodhi Bikkhu of Pali Department this dream will finally be come to reality. This is really a matter of joy and proud for everyone. It will be a 5 storey building which will cost 11 crore 44 lakh Taka. Around 225 students will get residential facilities by this new hall.